Patagonia Danner River Salt Wading Boots ! Lighter-weight for wet wading, flats fishing and long approaches, these boots are built by Danner in the USA and offer excellent performance and durability in both fresh and salt water. 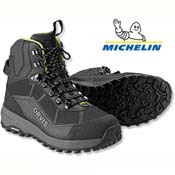 Patagonia Danner Foot Tractor Wading Boots - Sticky Rubber ! Providing heavy-duty support and protection for the most demanding wading, the Foot Tractors are the most durable, highest-performing wading boots possible. Patagonia Danner Foot Tractor Wading Boots - Aluminum ! Patagonia Danner Foot Tractor Wading Boots - Felt ! 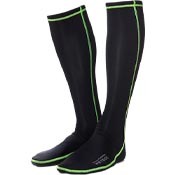 Wetsox Therms Black Round Toe Wading Socks ! Orvis Pro Wading Boots ! Simms Intruder Saltwater Wading Boot ! 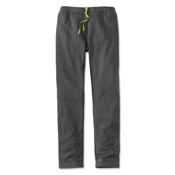 Orvis Mens Underwader Pant ! Stay comfortable and warm on the coldest fishing days with these fleece under wader pants.